Here at Carriere Family Farms we strongly believe that Food Safety and Quality are the driving factors in all that we do. From the fields to packaging, we take the utmost care in maintaining a safe and clean environment in order to provide the highest quality product for our customers. We Are Powered by the Sun! The Carriere family first settled in Northern California in 1890 when Albini Carriere arrived from Canada to find work in Glenn County. 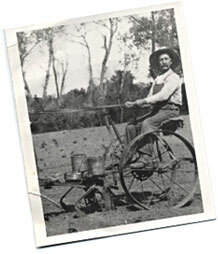 Albini worked for the Spooner Ranch as a ranch hand where he met his wife Rosanna Spooner. 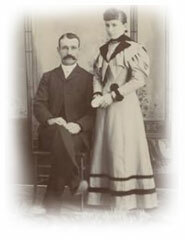 They married on November 15, 1893. 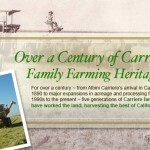 Carriere Family Farms is located in Glenn, California in the Sacramento Valley. We work closely with local growers to maintain excellent product quality from the orchards to the packaging department. 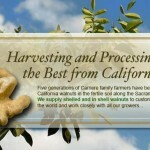 Our partnership with Borges Mediterranean Group, a major European food brand, created Borges of California and increased both our output and our opportunities for expansion as the market for California walnuts continues to grow. 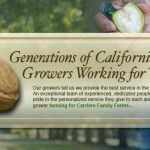 Carriere Family Farms grows ten different varieties of English Walnuts, including Chandler, Howard and Hartley. 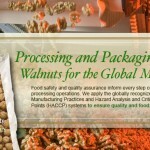 We ship our California walnuts to customers around the world.